This is a 'future collectors car' IMHO. Bought in 2008 directly from the factory in Belgium. The car is a copy of Gerd Strenges prototype Durango. 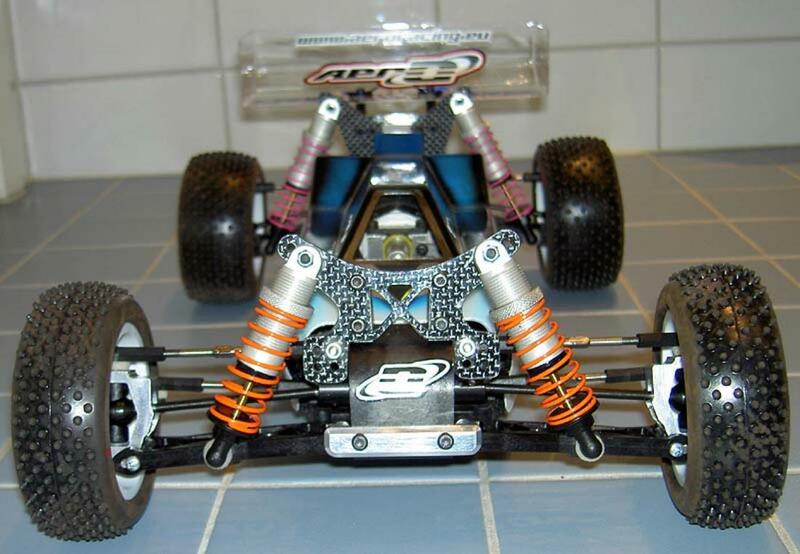 Lee Martin won the BRCA 4WD title in 2007 with the A-1 prototype with alu chassis, Losi dampers etc (basically the old Durango). 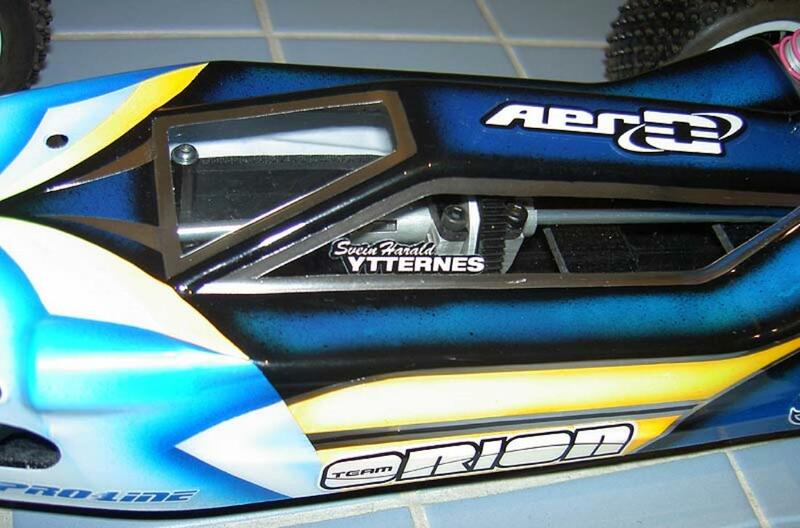 This is a full graphite chassis car from Aero. 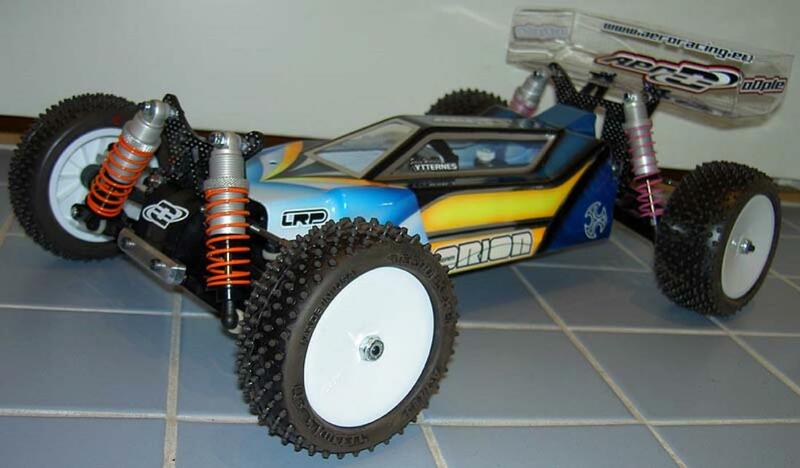 Furthermore this was the most expensive 1:10 OR car you could buy for money! Painted by myself. 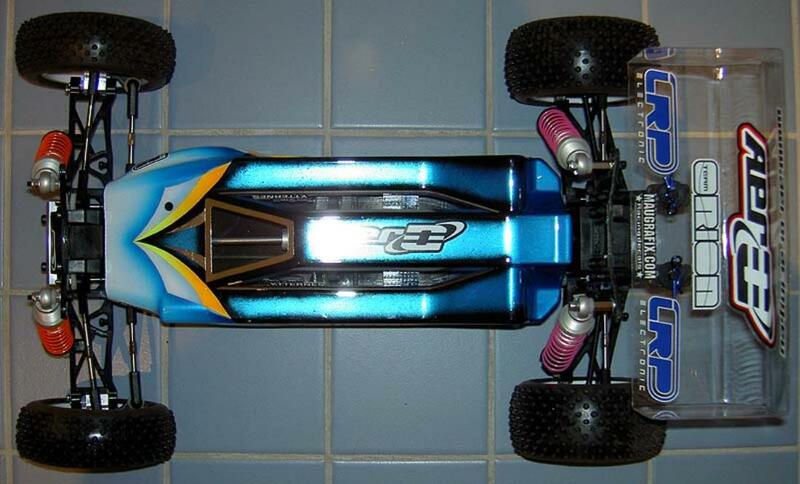 It's a copy of Hupo Hönigl's paint scheme on his previous Durango, painted by RC Paintworks.